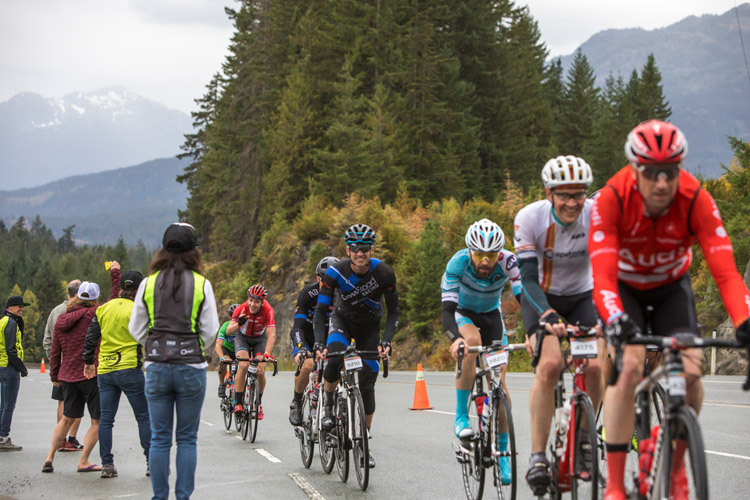 Each September riders in the RBC Granfondo Whistler take on the 122+ km ride from Vancouver to Whistler. 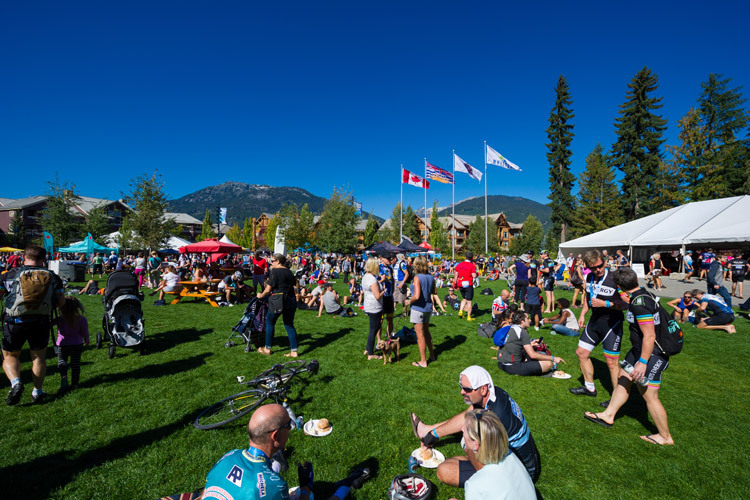 Voted the Best Cycling Event in Western Canada by get OutThere Magazine readers every year since 2010, it’s a spectacular ride making it onto many a road cyclist’s bucket list. 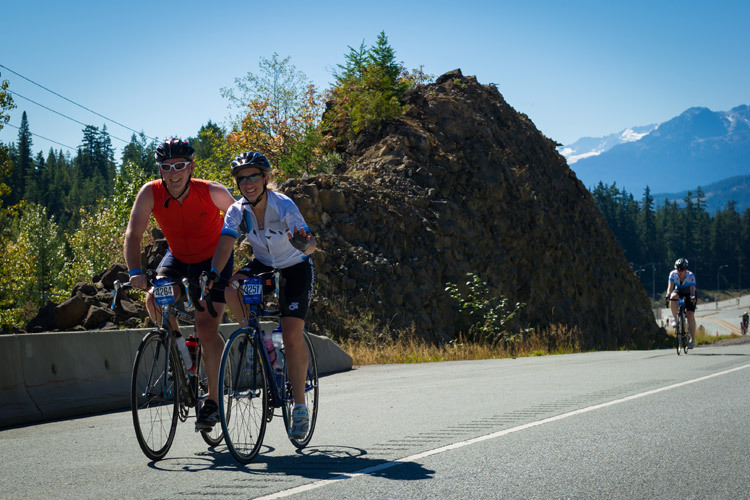 While offering spectacular views the Sea to Sky Highway is no easy route to take on and people train hard to make sure they’re able to get across the finish line on the day. 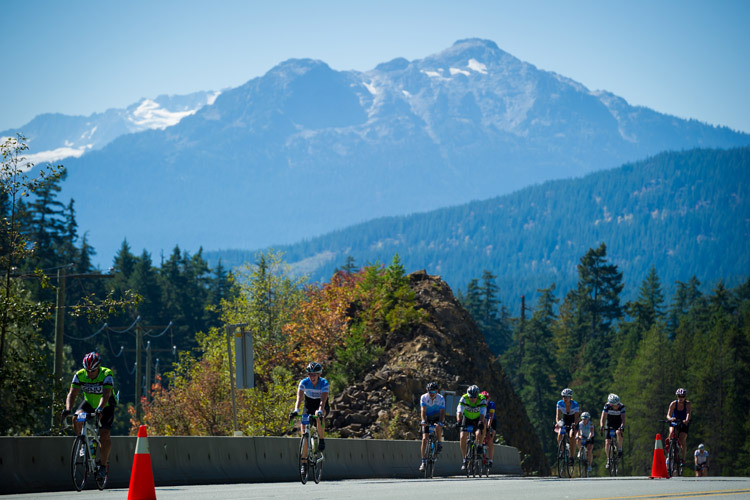 Some teams take on the RBC GranFondo Whistler competitively, but many riders are just in it for the ride with rolling across the finish line surrounded by the beautiful Coast Mountains the main goal. As with many of the races and challenges in Whistler that finish line feeling is the reason people strive so hard so it makes total sense to keep that feeling of exhilaration and achievement going as long as possible. With that in mind, here’s 10 ways to keep the finish line celebrations going through the weekend, while taking care of yourself after the ride. They’re the ones who keep you going and support you through the training after all! Find them at the Celebration Plaza finish line celebrations; give them a hug and a high five for getting you all the way. 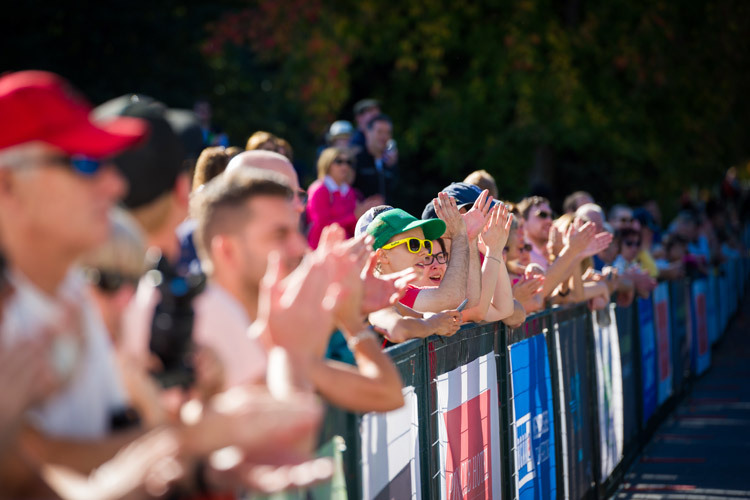 They’ll have a great day out too, with an iRide Jam near the finish line for kids older than 6 thanks to Cycling BC, plus food and music – overall a great family day out. It’s a bit of a Whistler tradition to go for a bike ride and end with a refreshing dive off a dock. In early September the water could be cool, but that’s not a bad thing after a couple of hours riding a mountain highway in the sun. We recommend Lost Lake near the Village if you like the water warm, Alpha Lake in Creekside for cold-but-just-bearable. Green Lake for the polar bears. Did you know? The 122 k GranFondo is just one of the rides happening on the day. 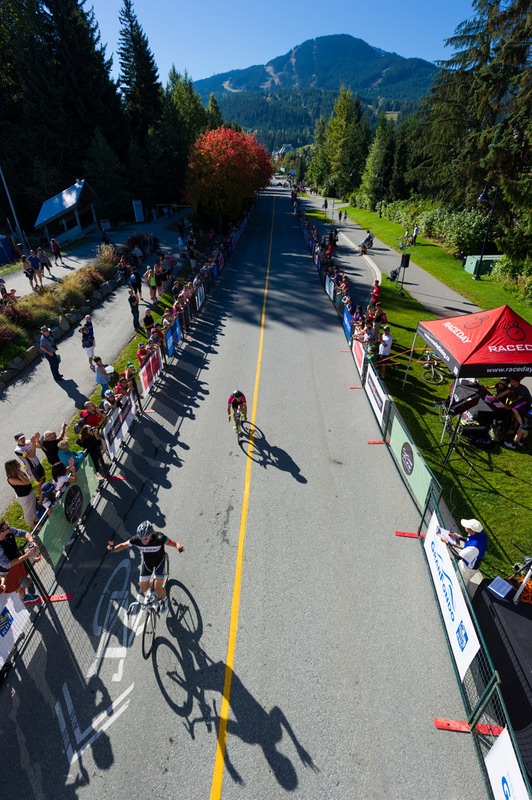 Riders can also take part in the Forte (152 k) and a brand new Medio (55 k) that now starts and finishes in Whistler. There’s a massage station at the finish line for riders and a combination of cold and warm water is also good for recovery. 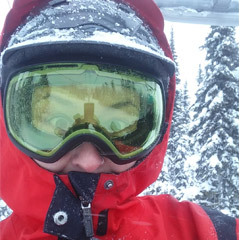 Heading back to your accommodation to soak in the hot tub is a great idea, as is checking out Whistler’s spas for options like hot/cold pools, saunas and steam rooms. Massage is also recommended but make reservations ahead of time as demand is sure to be high. Take a look at the elevation map for the RBC GranFondo Whistler here – that’s 1,900 metres of elevation to work through during the ride. You’ll probably burn a few calories, which means you can eat whatever you want post-ride. There will be food at the finish line, but we highly recommend checking out the dining guide to familiarise yourself with Whistler’s restaurants, and reserve a table ahead of time to make sure you aren’t sitting there hangry (hungry + angry – you know the feeling). Get the legs going again with a spin to a local cafe for a wake-up brew. 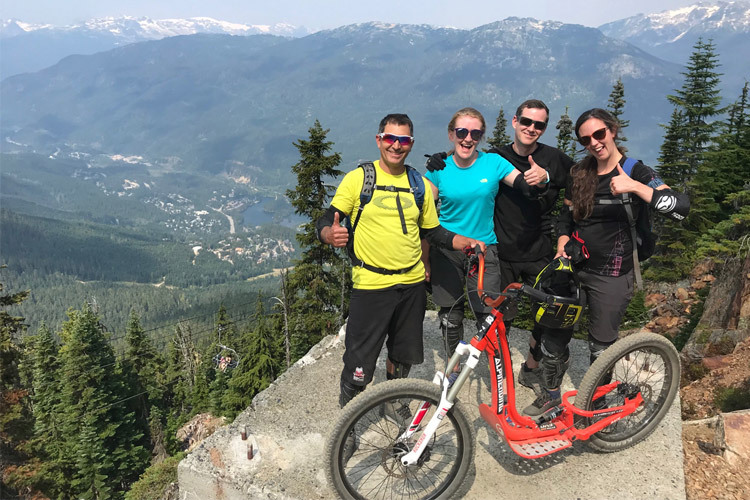 Try Fix Cafe in Creekside, Purebread in Function or Whistler Olympic Plaza, Gone Village Eatery in the Village or Portobello in the Upper Village for bike-friendly patios. You can also try Hammer Coffee at the Whistler Farmers Markets on the Sunday, serving coffee made from locally roasted beans. Whether you choose to party or sleep after the ride, a little lie in then a hearty meal will set you up nicely for recovery. Check out Whistler’s brunch spots here. 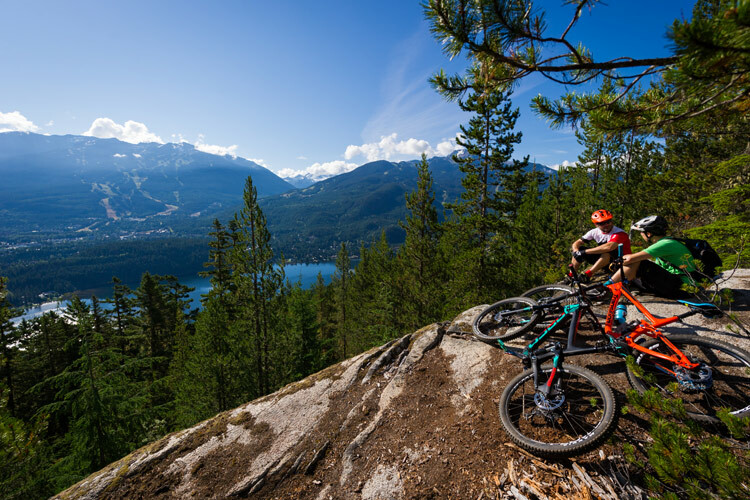 Go for a scenic ride around Whistler, check out a yoga class, go for a walk or a hike, play a round of golf. There’s a ton of ways to get out and about and moving to help your muscles recover. Prefer to dial it back completely? Go sightseeing and let the gondolas and chairlifts do all the work. Last but definitely not least. That finish line feeling is special, why rush back to reality after the race? Take an extra day or two away to rest, sleep well, move and breathe the fresh mountain air. You deserve it. 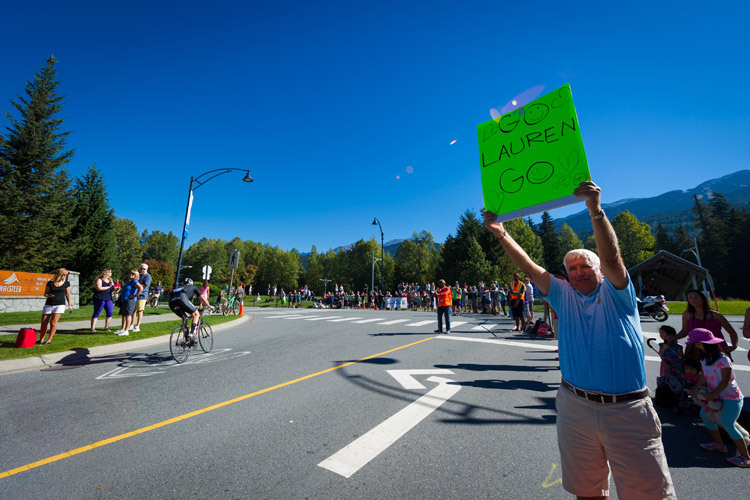 Good luck to all the riders taking on the 2018 RBC GranFondo Whistler On September 8, 2018– find all your race day information at the RBC GranFondo website. 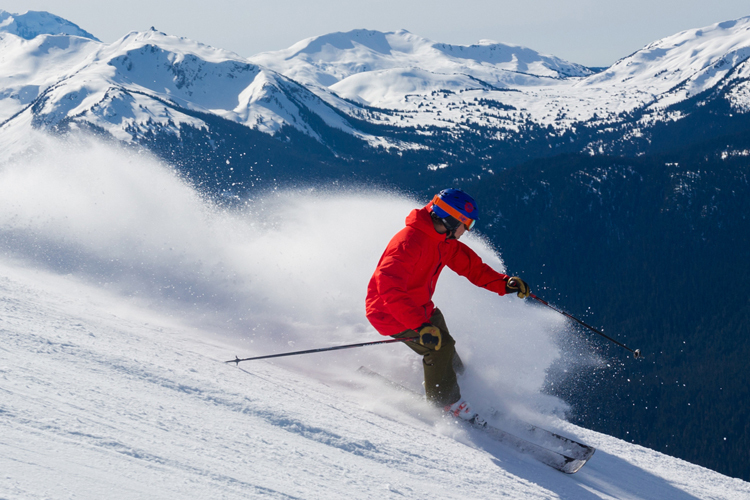 For more information about Whistler including activities and accommodation, check out Whistler.com.